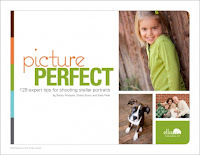 A Matter of Memories: :GIVEAWAY WINNER: Picture Perfect from Ella Publishing Co.
:GIVEAWAY WINNER: Picture Perfect from Ella Publishing Co.
Are you ready to get out there and start shooting?? I wasn't surprised when a lot of you listed your children as your favorite photography subjects, but we have some serious spouse, pet and nature lovers out there as well! While Picture Perfect is focused more on animate objects (people and pets), there are certainly tips for everyone included. 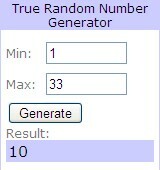 And, I have one lucky commenter that has just won themselves a free download! Congratulations go to Sammie!! Watch your inbox for further details on how to claim your prize! If you'd still like to snag a copy of Picture Perfect for yourself, head on over to Ella! It's only $5.99! Don't miss out on more great giveaways coming soon! Sign up for updates to the AMOM blog by email subscription or your favorite blog reader through the links in the left sidebar.